Looking to improve your health? Then don’t overlook mulberry. This is a fruit that you may have never heard of before – most people haven’t, but one that will deliver seriously great benefits. What is mulberry and how will it benefit you? Mulberry is a tree that actually might even be growing in your neighborhood park. It produces fruit that are similar in appearance to the blackberry, therefore many people just pass it off for a blackberry when it really isn’t. The good news is, it’s a delicious fruit that provides some serious health benefits and may even help you lose weight. With many delicious ways to serve mulberry such as on their own, baked into desserts, blended into a smoothie, or added to your Greek yogurt, there’s no reason why not to get this delicious fruit into your diet. While it may be rarer to come across than say a blueberry or strawberry, next time you do see it in the supermarket, make sure you pick it up. Let’s look at some of these amazing benefits this fruit has to offer. We already know that most berries are great cancer fighters. This berry is no different. It’s loaded with antioxidants that help to fight free radical damage, which can eventually lead to oxidation and cancerous effects. Research has shown that when subjects are subjected to mulberries, the compounds in these berries help to cause cell death in breast cancer cells and also slow the growth of tumor cells in mice as well (1). With a seemingly endless amount of products out there aimed to help you lose weight, you may roll your eyes at the thought of another one. But do give this one consideration. Any time you can use natural means of promoting weight loss, you’re going to be far better off. 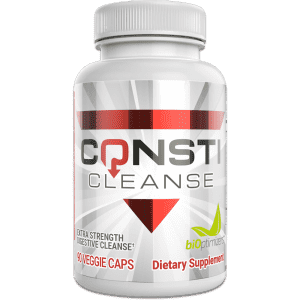 Putting unnatural substances such as fat burners into your body come with unwanted side effects – side effects that can be worse than actually not losing weight in the first place. When you go natural – such as in the case with the mulberry, you actually further improve your body’s health all the while ensuring that you are improving your weight loss success. So how does this help you lose weight? First, it is a powerful provider of dietary fiber. Despite the fact that people have been told time and time again that dietary fiber can help to decrease hunger, stabilize blood glucose levels, and help promote the loss of body fat (2), people are still not getting enough. The mulberry makes it easier though. Berries are typically loaded with dietary fiber, which will help you fend off those cravings and stay healthier overall. Those who have enough fiber in their diet plan also typically experience a lower risk factor for heart disease and stroke as well, so that’s an added benefit of getting enough in. One interesting study done on mulberries also demonstrated that when subjects were given a mulberry extract over a 12 week period, they lose both body weight as well as visceral fat (3). So it may have a compound that fends off obesity as well. This is very promising research and will surely be studied more. As you may have guessed, due to the fact the mulberry offers a good dose of dietary fiber, this also means that it’s great for helping to lower cholesterol levels as well. But it isn’t just the fiber at play here. This fruit also contains a type of fiber called pectin (4), which his a soluble fiber that appears to be of special importance for lowering cholesterol levels and therefore, slashing your risk factor for heart disease. Another fruit that’s a great source of pectin as well are apples, so that’s another fruit that you can eat to achieve the same benefit when you can’t get your hands on mulberries. One unique thing about pectin is that it’s going to help combat hunger more than regular dietary fiber, which is part of the reason the above effect is so powerful as well. Other fruits that have smaller amounts of pectin to consider are pears, guavas, plums, as well as oranges. 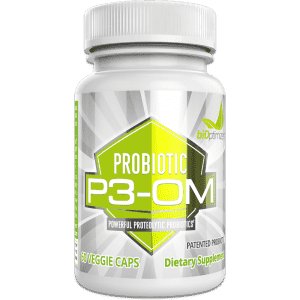 Consuming it on a regular basis may also help you treat diarrhea, especially if you also combine it with a high quality probiotic such as P3-OM. 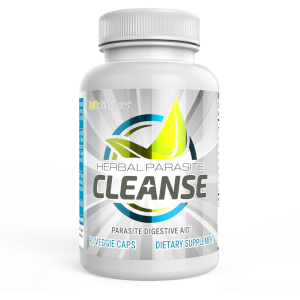 Together, this is an unstoppable combination for those who are dealing with this unwanted condition. When most people think of their health, they tend to immediately think of their heart or their body weight or even their blood pressure levels. When was the last time you thought about how healthy your liver was? The truth of the matter is, the liver is an essential organ in the body and one that you need to be sure is functioning at its best in order to help maximize your health. Your liver is responsible for keeping your body toxin free, so if it’s not working at full speed ahead, you may be endangering your entire system. Too many people in today’s world are coming down with liver disease. This can be from a combination of stress, our diets, which are high in saturated fat and sugar, along with drinking too much alcohol. The good news is that the mulberry may in fact be able to help detoxify the liver in a sense, so that it can detoxify the rest of your body. When subjects consumed mulberry compounds, they were able to block fat formation in the liver, which could result in fatty liver disease (5). It appears as though this fruit may help to increase the rate of fat broken down in the liver, while also decreasing the level of fatty acid formation, which helps to improve the overall composition of your liver. While it may be slightly weird to think of yourself as having a lean liver, that is precisely what you want. 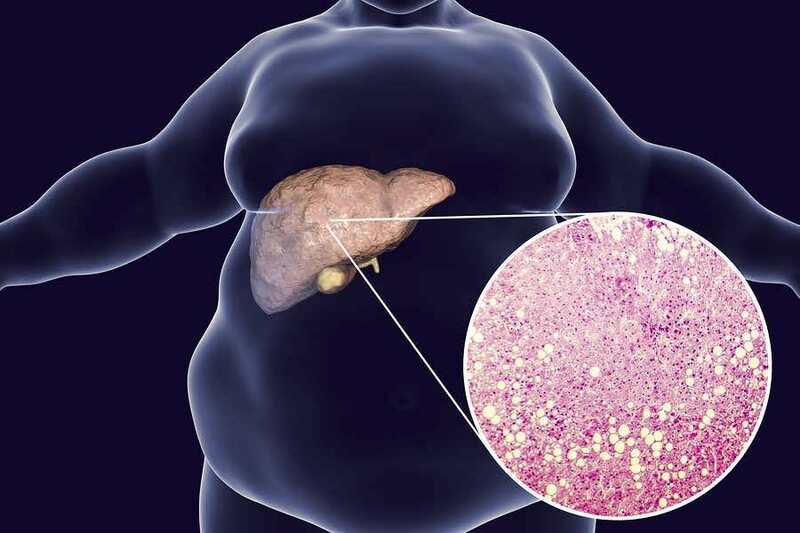 The more fat that’s built up on your liver, the worse its overall functioning will be and the more risk you have of experiencing problems with your overall health. 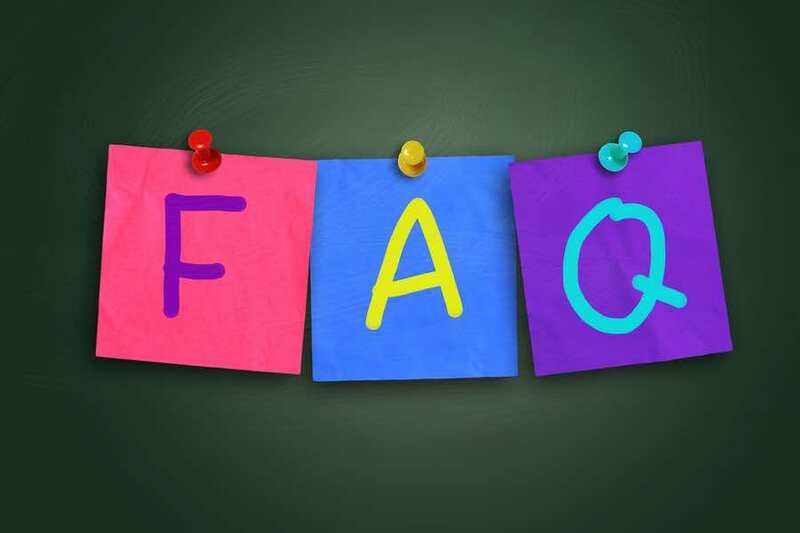 Did you know that diabetes is one of the fastest growing diseases in the world today? It’s true. It is seriously taking over and if we don’t start doing something to change our lifestyles and habits, soon it will become common place. It’s claiming the lives of many people at a far younger age than it should, and is placing great strain on our healthcare system. Diet plays a key role in the development of diabetes, so the good news is it’s very much controllable. If you start making changes to your diet plan, you can better control your blood glucose levels, which means your cells maintain superior insulin sensitivity and not only are you at a lower risk for experiencing diabetes, but weight gain as well. A lower body weight also means a lower risk of diabetes, so it’s a cycle that just feeds into itself. If you can begin by balancing blood glucose levels, you’re setting yourself up for success. Mulberries, because of their dietary fiber content help to slow down the absorption of sugar in the bloodstream, keeping you on a more even level. Beyond that, compounds found in mulberries may also help you better control your blood glucose levels as well as subjects who use mulberries typically show less fluctuations in their levels over time, not just after eating the mulberries. Therefore, researchers have noted that this berry may indeed have ‘anti-diabetic effects’ they called it (6). Another really nice thing about mulberries is that it’s a lower calorie fruit as well. It’s important that you are doing what you can to keep your calorie intake under control because obesity is on the rise. If you aren’t careful, your body weight can sneak up on you and when it’s high, you’re also putting yourself at risk for a number of other unwanted diseases as well. Per one cup serving of mulberries, you’ll take in just 60 calories total and of those calories, 13.7 of them will be from carbohydrates, 2 grams will be from protein, and 0.5 grams will be from dietary fat. You’ll also receive 2.4 grams of dietary fiber, illustrating how powerful a fiber provider this fruit really is. This fruit also packs in a number of nutrients as well, giving you 85% of your total vitamin C intake, along with a good dose of vitamin K, iron, potassium, riboflavin, vitamin E, magnesium, phosphorus, and calcium. The more often you can get your nutrition from whole food sources the better. 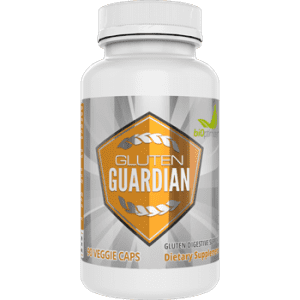 As these are going to help you receive a better overall nutrient absorption than if you were to just take a multi-vitamin or mineral formula. So there you have some of the best benefits that the mulberry has to offer. It really is one fruit that you’ll want to include in your diet as often as you can. They are harder to come across, but keep in mind that you can also purchase them frozen and freeze dried, so those two options make it far easier to eat them when you can’t find fresh available. Need a few ideas to get these incorporated into your diet plan? Here are some delicious serving suggestions. If you’re going to be making pie anyway, why not make it as healthy as possible and serve it with mulberries? 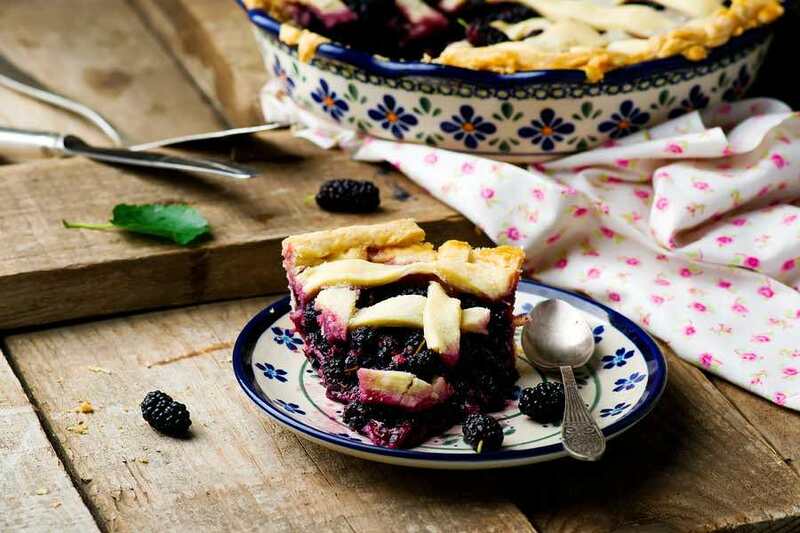 This is a better choice than opting for apple pie thanks to the higher nutritional content of mulberries. While apples do still have their benefits, they simply aren’t as healthy as the mulberry is with all of its antioxidant power. Another way to serve mulberries that’s far too often overlooked is in the form of protein pancakes. 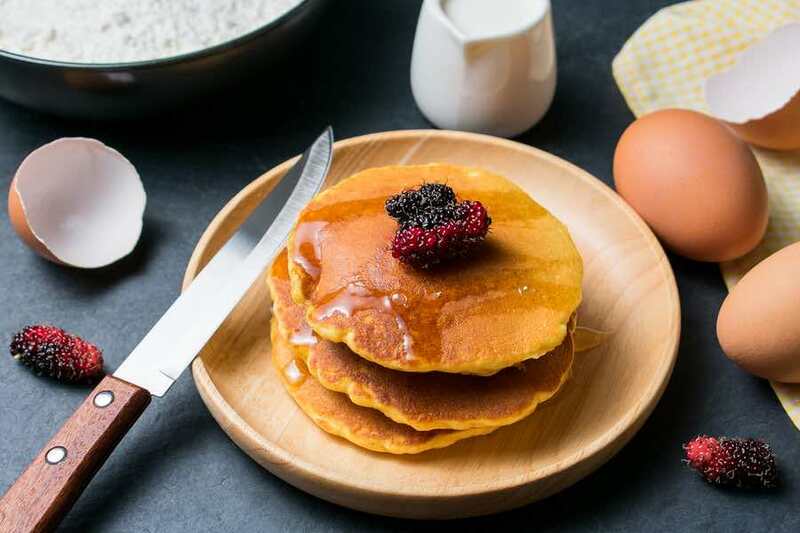 Protein pancakes can provide that special Sunday morning breakfast you’ll love to sink your teeth in, satisfying your craving for a sweet treat. If you already swap out traditional high carb, high fat pancakes with creations of your own, you’re on the right track. Now just add some mulberries to the batter and you’ll be all set. To prepare a protein pancake, combine 1 whole egg, whisked, with 1 scoop of protein powder. Add a few egg whites and a quarter cup of raw oats along with a half mashed banana. Form into a batter and then add your mulberries. Pour onto a hot skillet and cook as you would a normal pancake for 2-3 minutes per side. Serve with some low sugar syrup on top. Another great way to serve mulberries is to simply add them into your bowl of oatmeal once it’s finished cooking. Too many people avoid oats because they taste too bland and boring, but don’t forget you can flavor this yourself and make it a breakfast you look forward to. Prepare your oats with unsweetened almond or cashew milk to boost the flavor there and then after that, you’ll want to add in some cinnamon and top with a few mulberries. If you want to make it a complete meal, then also stir in some nut butter and a scoop of whey protein powder as well. You’ll have your proteins, carbs, and fats all covered. Don’t forget to use those dried mulberries! While you shouldn’t go crazy having too many dried mulberries as they are higher in sugar content, you can certainly add a few to a tossed salad. These combined with all the vegetables in that salad will make for a very nutritious meal that you can feel great about eating. 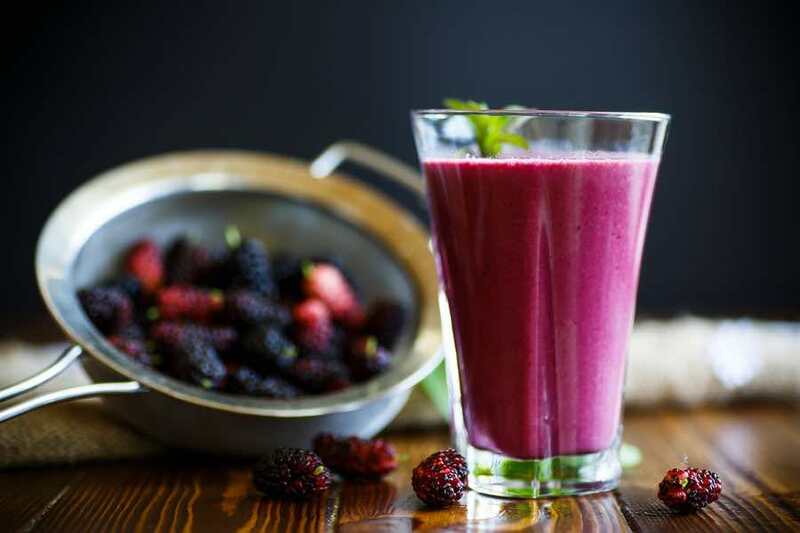 This is a perfect way to serve any frozen mulberries you have as it will add a thicker consistency to that smoothie, making it more appealing and milk-shake like. Combine the mulberries with some unsweetened almond milk, a scoop or two of protein powder, and then some natural nut butter. Add some ice cubes in as well if you prefer. So as you can see, there are plenty of delicious ways to serve mulberries. You simply can’t go wrong with this berry, so it’s one that you’ll want to strongly consider adding to your diet, at least once per week for it’s amazing benefits. 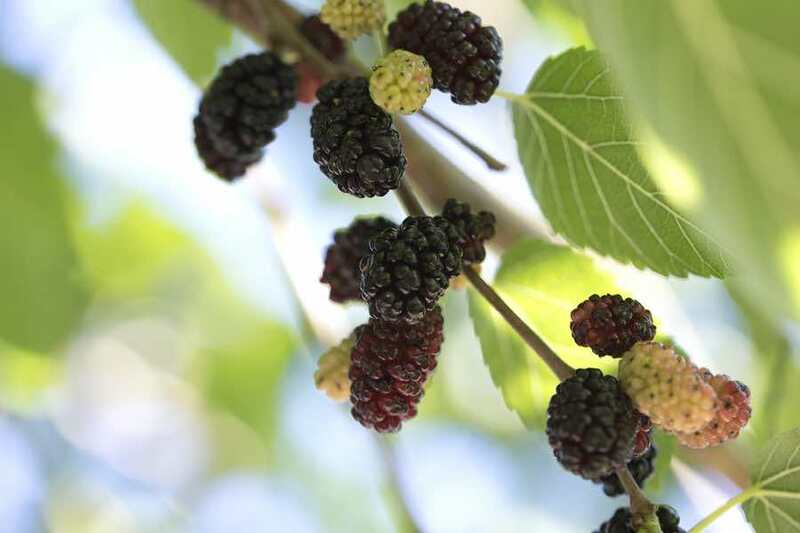 What are the benefits of mulberries? Mulberries are a fantastic source of dietary fiber, provide, antioxidants, can help to ward off diseases such as cancer, heart disease, and diabetes, and also may promote greater weight loss as well. Are mulberries safe to eat? Yes, you can certainly eat mulberries. Just be sure to remove the berry from the stem. While there’s nothing harmful from the stem, it’s simply not designed to be eaten. Are mulberries and blackberries the same thing? No. many people get them confused but they come from different families and have different health benefits. Mulberries are not considered true berries in fact because they grow in trees instead of growing on bushes. Only fruits that grow on bushes are considered berries. Do mulberries and blackberries taste the same? Because these are two different berries, they have two different tastes. It’s like asking whether apples and oranges taste the same. Each fruit has a distinct taste that’s unique to itself. Where do mulberry trees grow? This berry can be found on trees that grow about 35 feet tall in mild climates. They’re usually grown in USDA zone five through nine. They’ll grow best when they are in a climate with warm, moist, well-drained soil. What nutrients are found in mulberries? Mulberries are rich in a variety of different nutrients including fiber, vitamin C, magnesium, potassium, riboflavin, iron, and calcium. Can I eat mulberries on a low carb diet? Mulberries are considered relatively low carb with just over 10 grams of carbs per serving. This means they will work well on most low carb diets however would not be permitted on a ketogenic diet. 1. Cho, Eugene, et al. “Anti-cancer Effect of Cyanidin-3-glucoside from Mulberry via Caspase-3 Cleavage and DNA Fragmentation in vitro and in vivo.” Anti-Cancer Agents in Medicinal Chemistry (Formerly Current Medicinal Chemistry-Anti-Cancer Agents) 17.11 (2017): 1519-1525. 2. Howarth, Nancy C., Edward Saltzman, and Susan B. Roberts. “Dietary fiber and weight regulation.” Nutrition reviews 59.5 (2001): 129-139. 3. Peng, Chiung-Huei, et al. “Mulberry water extracts possess an anti-obesity effect and ability to inhibit hepatic lipogenesis and promote lipolysis.” Journal of agricultural and food chemistry 59.6 (2011): 2663-2671. 4. Imran, Mohammad, et al. “Chemical composition and antioxidant activity of certain Morus species.” Journal of Zhejiang University Science B 11.12 (2010): 973-980. 6. Wang, Yihai, et al. “Antidiabetic and antioxidant effects and phytochemicals of mulberry fruit (Morus alba L.) polyphenol enhanced extract.” PLoS One 8.7 (2013): e71144.